Freeman Butchers is a family business, established in 1953. The company has grown on a reputation of service and product excellence. We serve customers from all sectors of the food service industry ranging from hotels and restaurants to universities, schools and events. Our product range covers all species including beef, pork, lamb, gammon, bacon, sausage, poultry and delicatessen. 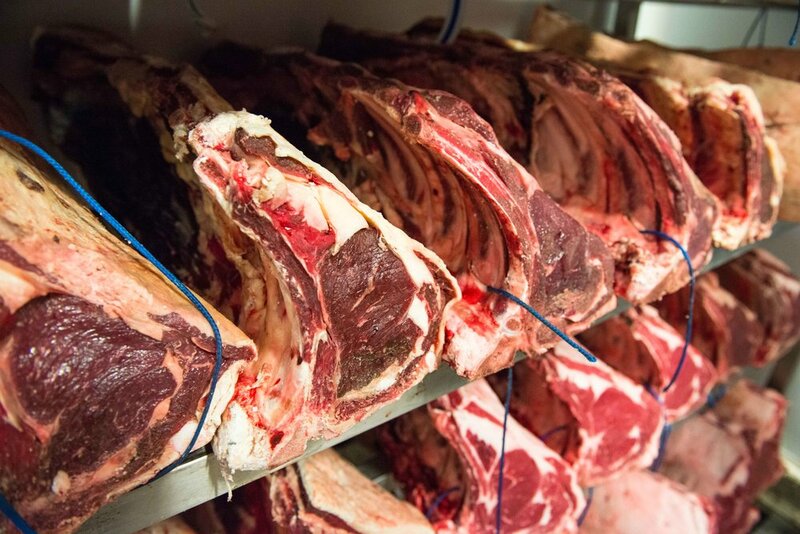 We responsibly source our meat from a fully accredited, traceable, global supply chain. We’re experienced in supplying a wide range of products, maintaining the highest possible standards from gate to plate. We understand that to grow your business and enhance your reputation you require consistent product quality. Our meat is predominantly sourced from the UK. We think it matters where meat comes from, and our customers agree. We select only the finest grade of meat from EC approved abattoirs. WE HAVE FULL TRACEABILITY ACROSS OUR OPERATION FROM GATE TO PLATE. We adhere to the very highest standards in the meat industry, and such is our commitment to quality assurance and food safety we have a permanent Technical Manager on staff who oversees our quality management systems. We are accredited by all the leading government bodies on standards such as National Association of Catering Butchers (NACB), Assured British Meat, EBLEX and BPEX. Based in Gateshead, Tyne and Wear (just off the A1) we are ideally located to service North East England. or fill in the contact form and we'll get back to you.